Saturday is Homecoming at Penn. It’s also shaping up to be one of the craziest days in Penn athletics history, with most of the school’s fall-sports teams hosting huge games against Princeton and both basketball teams beginning their seasons at the Palestra. Luckily, I’m here to provide you with your guideline to catching parts of every game that’s played on campus. Just make sure you wear your walking shoes. Kick the weekend by heading over to Rhodes Field to catch the women’s soccer team take on Princeton in what is the only Homecoming game being played on Friday. 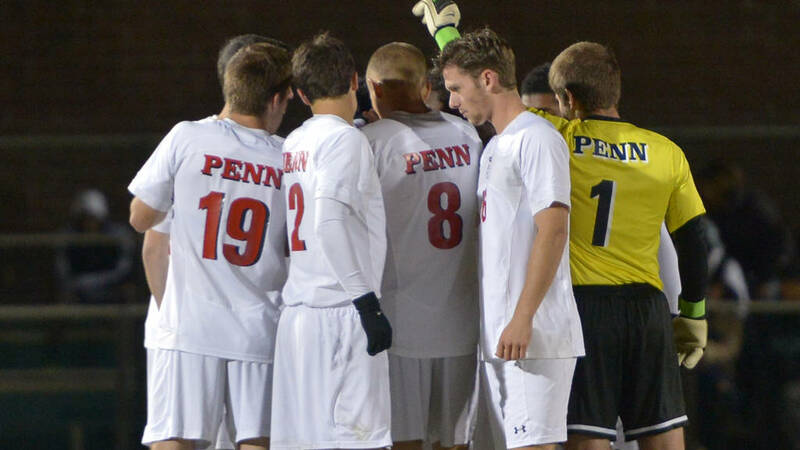 It’s the final game of the regular season for the Quakers (13-6 overall, 4-1-1 Ivy League), who can’t win the Ivy title but can secure second place – and, possibly, an at-large berth to the NCAA tournament – with a victory. 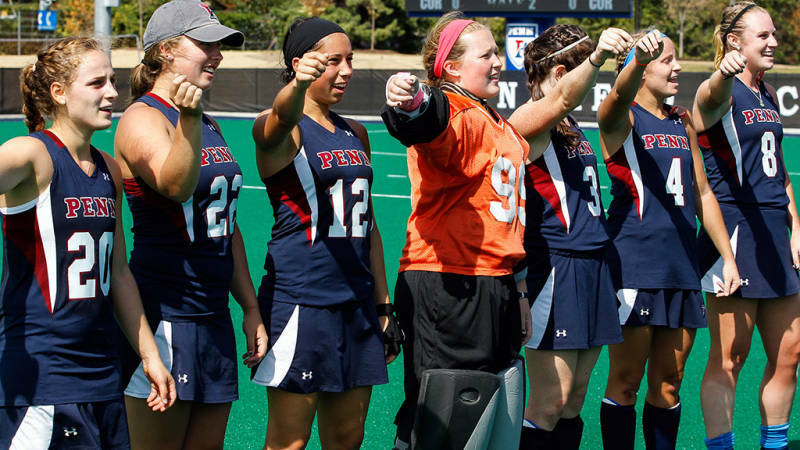 After scarfing down a hearty breakfast at Bui’s, take a nice stroll back over to the River Fields area to watch the Penn field hockey team take on Princeton at the brand new Ellen Vagelos Field. 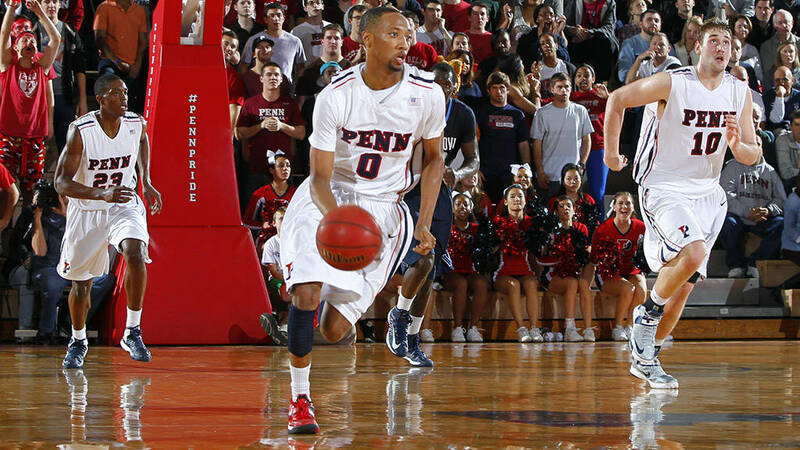 You might not have noticed but the Quakers (18-11, 5-1) are in the midst of their best season in recent memory and have a chance to pull off what can only be classified as a stunning upset over defending national champion and perennial Ivy juggernaut Princeton. 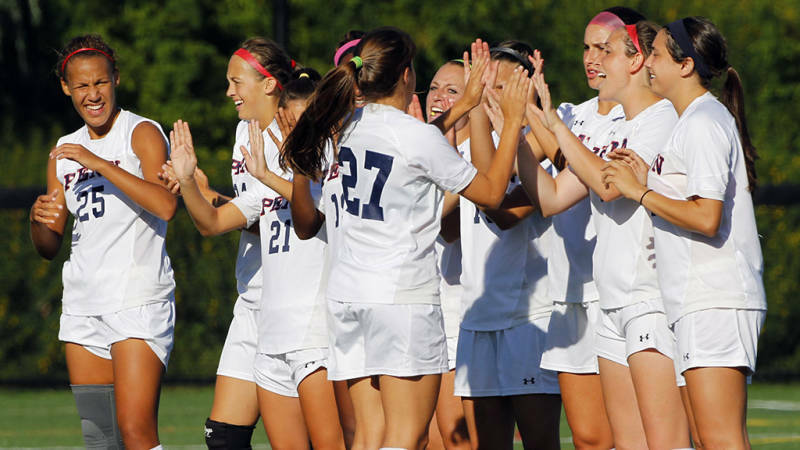 Come early for a formal dedication of Penn’s new AstroTurf field. Leave early if the game gets out of hand. After enjoying some field hockey goodness, take the scenic walk through Penn Park to Franklin Field, where you’ll be able to hopefully catch most of the second half of Penn’s huge football clash with rival Princeton, which starts at noon. At the very least, you should get there in time for the toast toss and the fourth-quarter action. 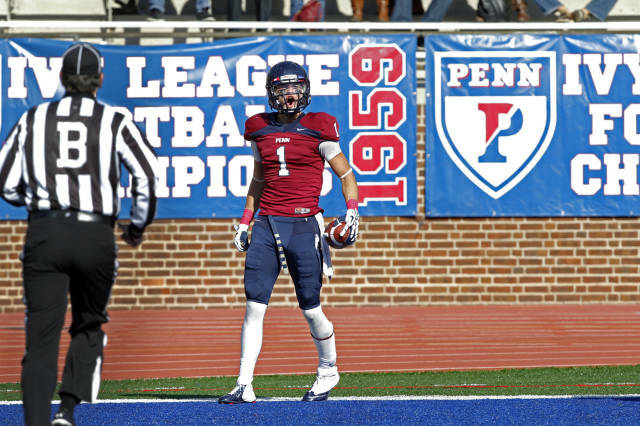 You won’t want to miss the end of this one, as a win for the Quakers (4-3, 3-1) would put them into a first-place tie with Princeton atop the Ivy League standings while a loss would effectively end their hopes of capturing a conference championship. Barring the football game going into overtime, you should have plenty of time to make the short walk from Franklin Field to the Palestra, perhaps even stopping at Shoemaker Green’s Brysi Café for a sandwich and a smoothie. Settle into college basketball’s most historic gym for the first of two hoops games that day: the women’s basketball team’s season opener against St. Francis Brooklyn. The game starts at 2 p.m., so you should be able to catch what should be an exciting finish. 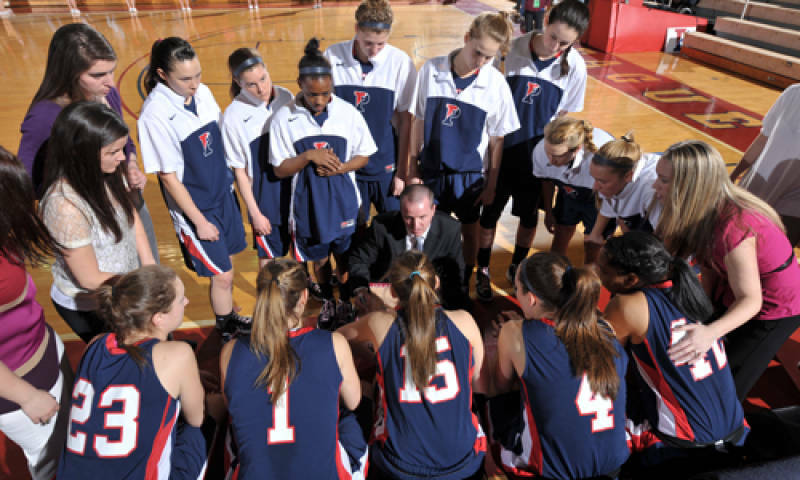 Two years ago, Alyssa Baron and company beat St. Francis in overtime after tying the game with 18.7 seconds left. And last season, the Quakers completed the largest comeback in program history, overcoming an 18-point second-half deficit. When the women’s hoops game ends, walk back through Penn Park to Rhodes Field, where the men’s soccer team kicks off against Princeton at 4 p.m. Like so many of the other ones this weekend, this game has enormous implications as Penn (6-8-1, 3-1-1) is currently tied with Princeton for second place in the Ivies, two points behind Harvard – who Penn plays next week in the final game of the regular season. That means that if the Quakers win their next two, they will win the Ivy League and secure an automatic berth to the NCAA tournament. While you’re certainly welcome to stay for the entire men’s soccer game (ensuring you’ll see the end of every contest this weekend), many Penn fans will want to leave soccer after the first half and head back to the Palestra, where the men’s basketball team will face city Temple in its season opener. The Palestra is always packed for Big 5 games and the bg crowd might just see the Quakers beat old friend Fran Dunphy’s rebuilding Temple squad for the first time since 2007. 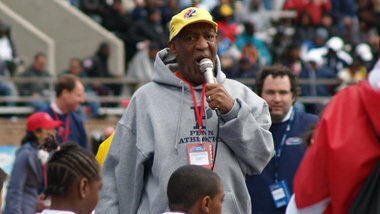 Remain in your Palestra seats even after the game ends for a Bill Cosby performance. Then hit up New Deck or Mad Mex and enjoy a congratulatory drink for being the world’s best Penn fan.